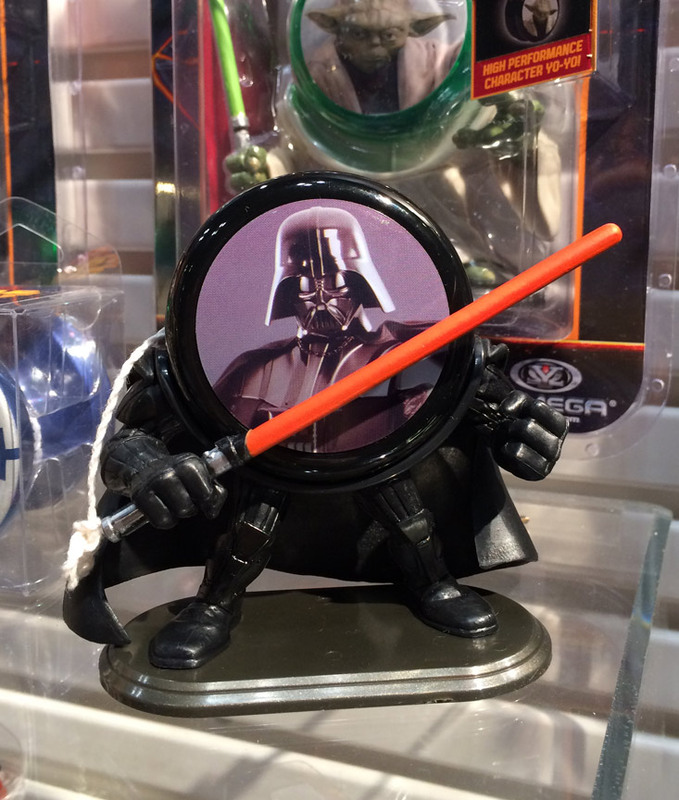 CreatureCantina.com: Toy Fair Yomega: Star Wars Yo-yos! 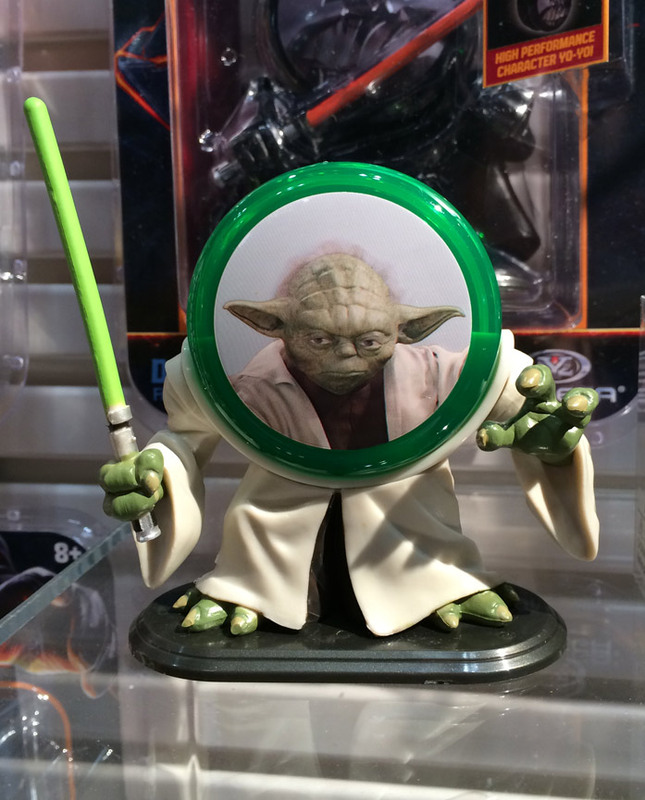 Toy Fair Yomega: Star Wars Yo-yos! Next up - something really cool! 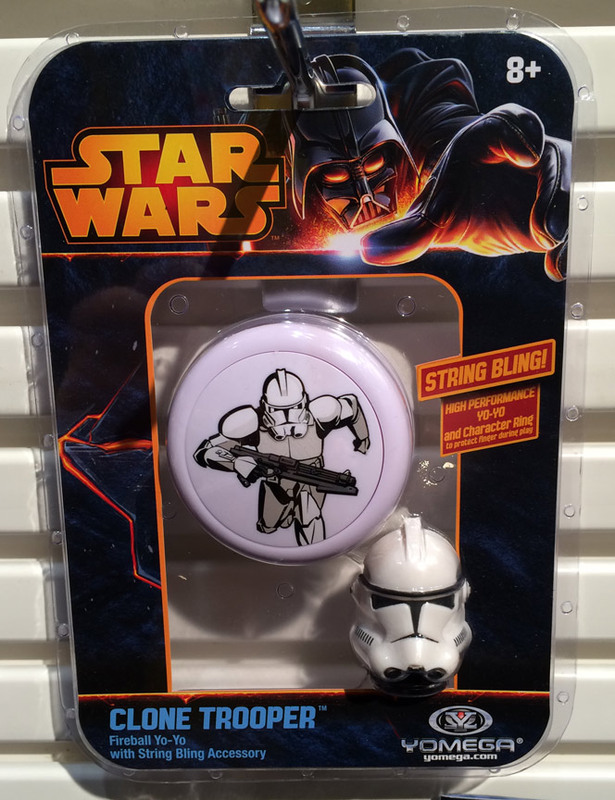 Star Wars yo-yos! 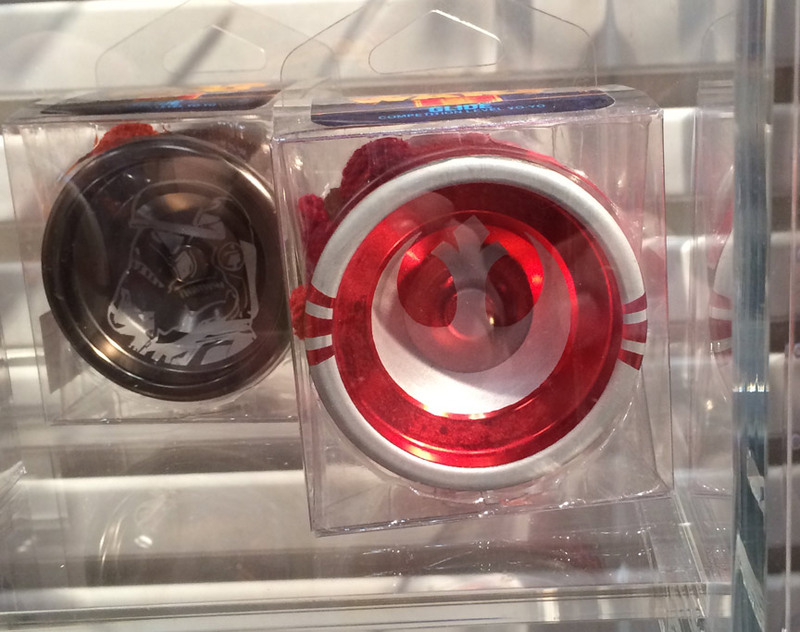 What, pray tell, would make yo-yos cool? The story behind them! See, the guy we talked to from Yomega was a former Kenner and Hasbro employee. 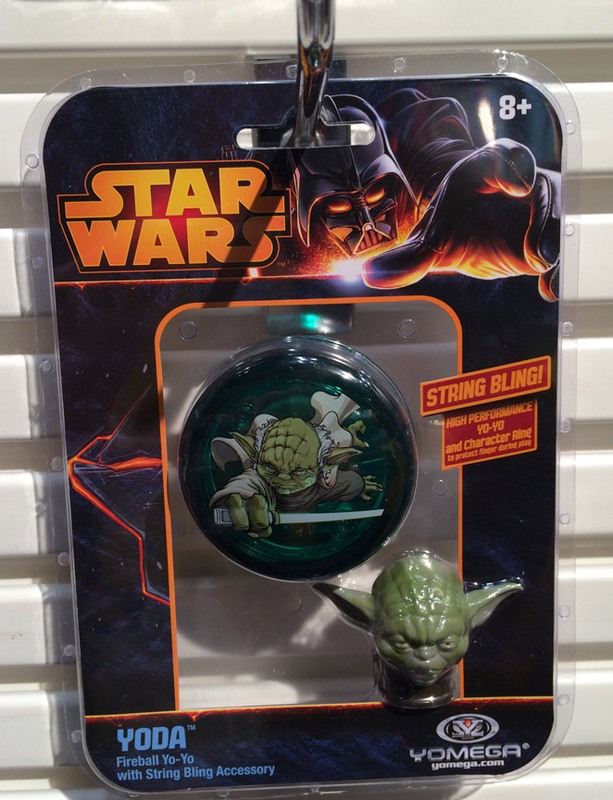 He went off and started making yo-yos, and due to his close contacts with Lucasfilm was able to get the license for Star Wars. Dude was dripping with dedication and passion for this product. Very cool to talk to him. 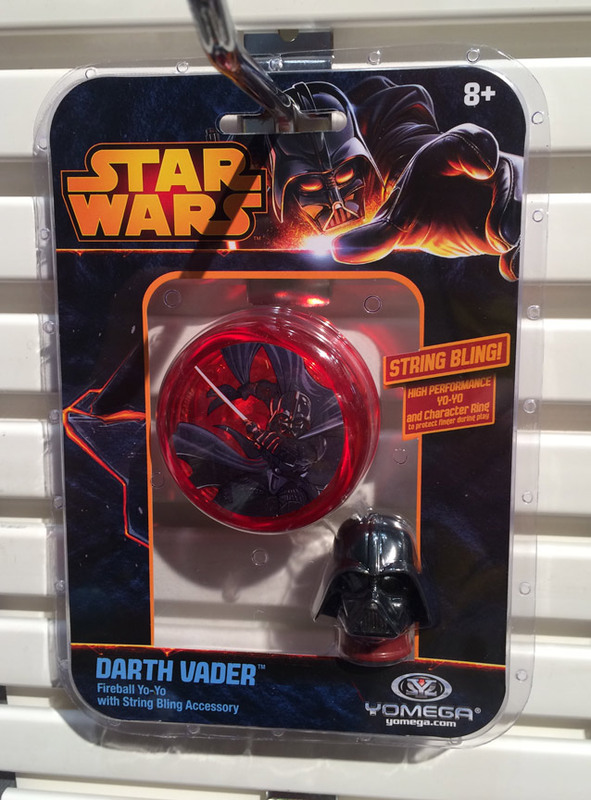 Yomega offers a range of Star Wars yo-yos, from $10 light-up kids yo-yos to $130 professional aluminum models. I tried out the $130 one... could not get it to pop back up. I just had no idea what I was doing. The line is doing very well. 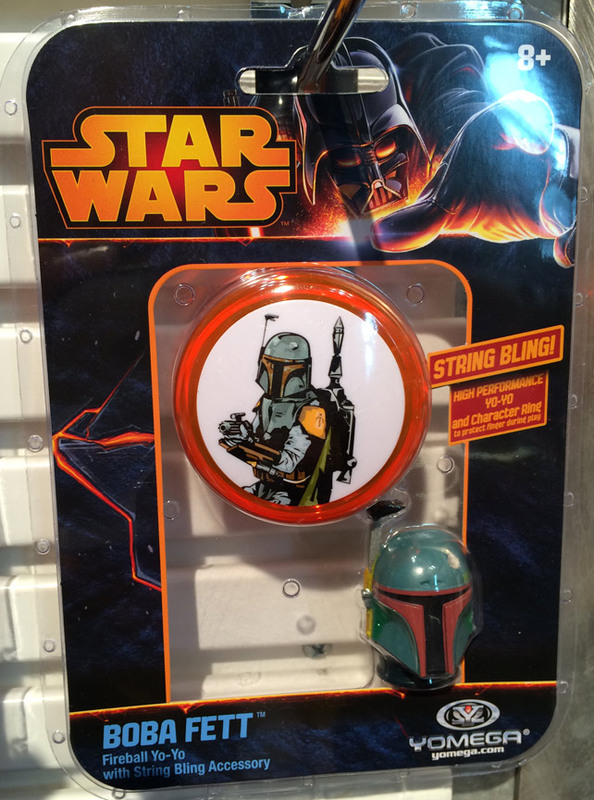 We were told the aluminum Boba Fett was already sold out (and hence not on display)... and that more designs were on the way. Lucasfilm was directing them on the characters to focus on first. 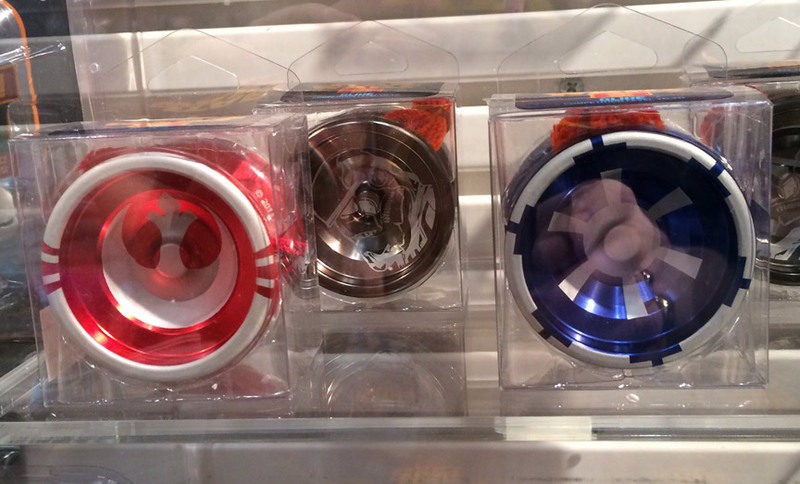 Coming soon we might see other based on more... mechanical characters. My kind of company!